Why "Home and Away"? Kool Max® Packs offer the highest level of cooling and are the best choice when you're at home or anywhere with access to a freezer. 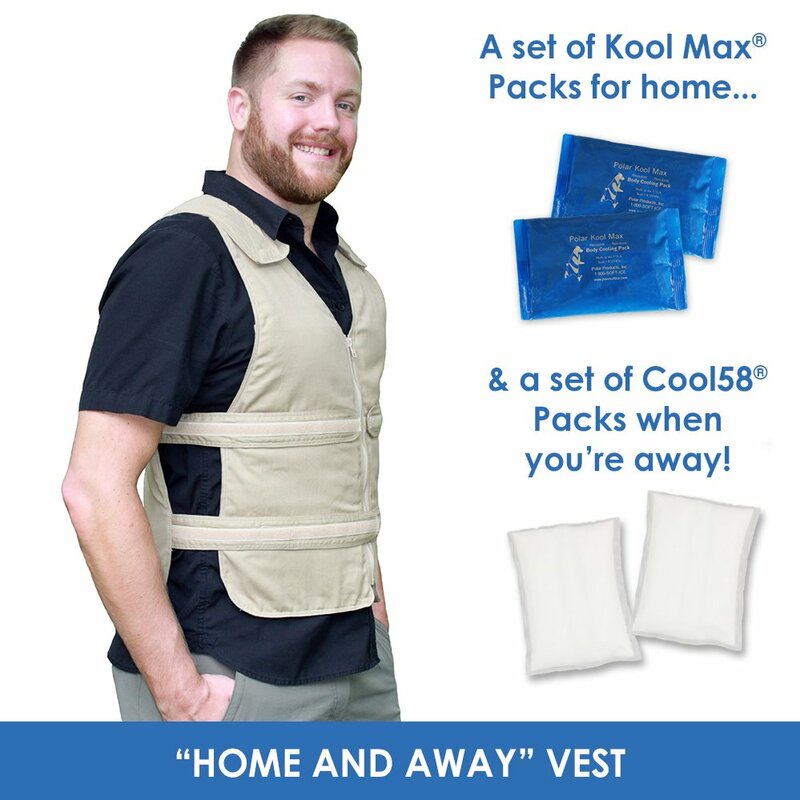 Cool58® Packs can be reactivated on-the-go in a cooler of ice water when you're traveling! Our Polar cooler is a great accessory to take your extra set of packs with you wherever you go. This kit include a complete extra set of Cool58® Packs! Keep the extra set in the freezer or a cooler, so they are ready when you are. Once the cooling vest has been adjusted for size, it is easy to put on every time with the zipper-pull front. The clean design (with no logos or visible pack pockets!) is available in several sizes. Wear the vest over clothing or discreetly underneath. 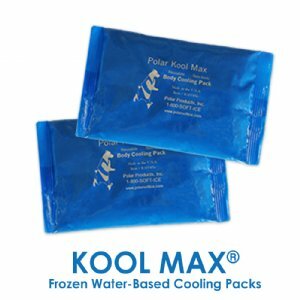 This kit includes two complete sets of cooling packs: our best selling Kool Max® frozen water-based cooling packs and our Cool58® phase change packs! 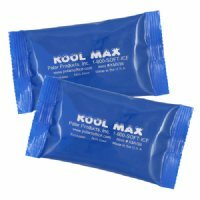 Kool Max® packs require access to a freezer and offer the highest level of cooling energy. Cool58® cooling packs freeze solid at a moderate and comfortable temperature of 58° Fahrenheit, so they can be activated in a freezer, refrigerator, or even a cooler of ice water on-the-go! See full comparison of the cooling pack technologies in the "How Does it Work?" section. 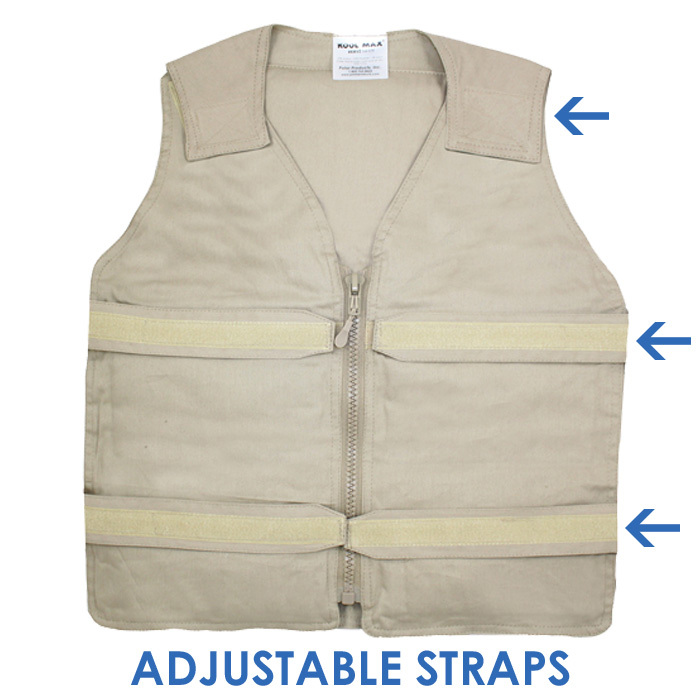 The different vest sizes hold five (5) to twelve (12) of both packs. See the size chart for more information. Please note: The example vest shown above is size M/L. The number and location of pack pockets varies for each size. 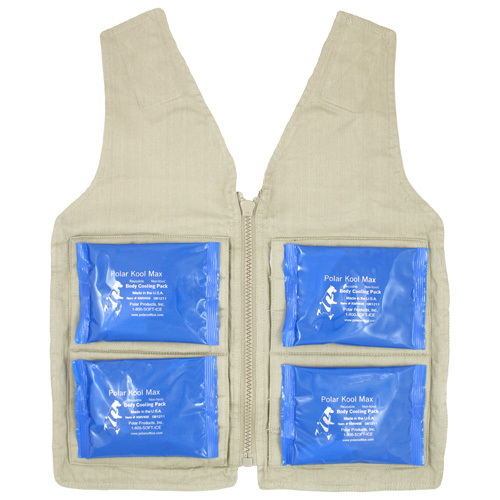 The different vest sizes include eight (8) to twelve (12) cooling packs. Please note: The example vest shown above is size M/L. The number and location of pack pockets varies for each size. 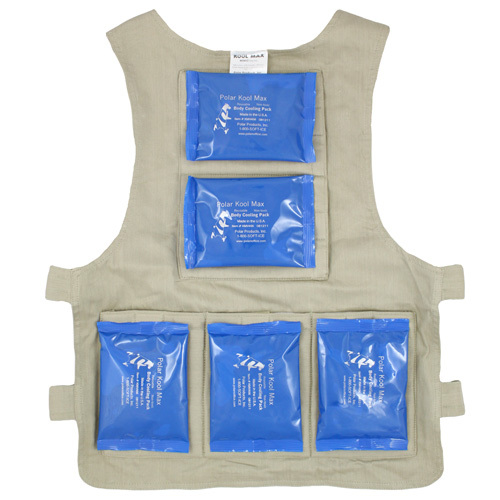 The different vest sizes include eight (8) to twelve (12) cooling packs. Add a Deluxe Neck Wrap! Target the arteries in your neck with this lightweight cotton twill wrap. Use wrap separately as needed or with the vest for maximum cooling benefits. The discreet pocket inside can hold a segmented Kool Max® Pack or Cool58® Pack. Both packs are included at a discounted price when the neck wrap is purchased with this kit! Add a Polar Cooler to carry your packs! Large soft-sided cooler measures 7" x 14" x 12" and will carry multiple sets of Kool Max® and Cool58® Packs for vests and accessories.